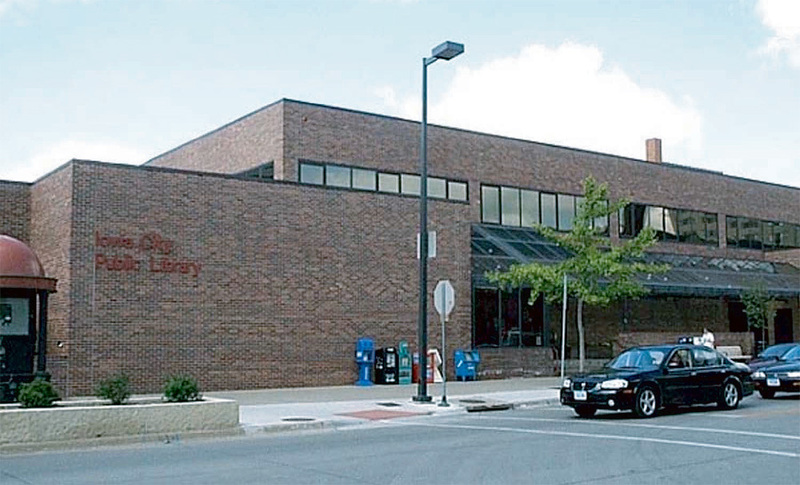 The ICPL at 123 South Linn Street began construction in October 1979 and opened its doors to the public on June 14, 1981 after hundreds of volunteers moved all of the library materials across the street. Crowded conditions in the Carnegie Library location were a major factor in the construction of the new location. Around this time, major technological changes were being introduced to ICPL. The card catalog was eventually closed and a new computer-assisted circulation system was put into place. “Iowa City Public Library Building, 1981,” Iowa City Public Library, accessed April 19, 2019, http://history.icpl.org/items/show/199.